The odds of an amateur golfer making a hole-in-one are estimated at 12,500 to 1. Jimmy Shea’s story starts there before the math gets much more interesting. 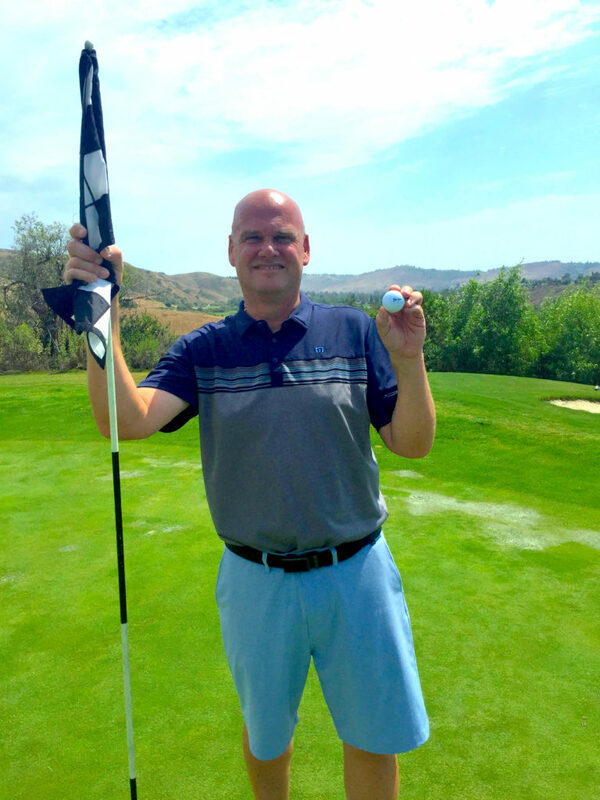 Shea’s first hole-in-one at Arroyo Trabuco came on May 7th on No. 8. His second came two months later … on No. 8. Same hole. Same pin location. Same club. Same playing partner. Shea briefly tried to calculate the odds of his good fortune and then stopped, choosing instead to bask in his newfound semi-celebrity status in the clubhouse and his new nickname. Voss and Shea were paired up as singles around six years ago, Shea said, and have been Saturday playing partners ever since. 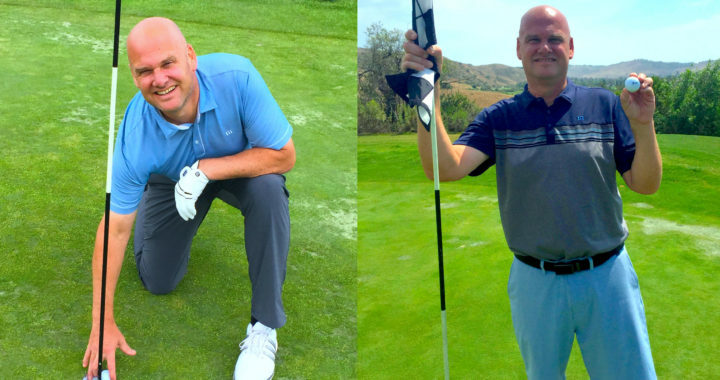 The pair was playing together when Shea scored his first ace from 149 yards with a 7-iron, a feat first unrealized because the hole was tucked behind a bunker. This time, however, Course Host Jayro Guillen was stationed near the green. 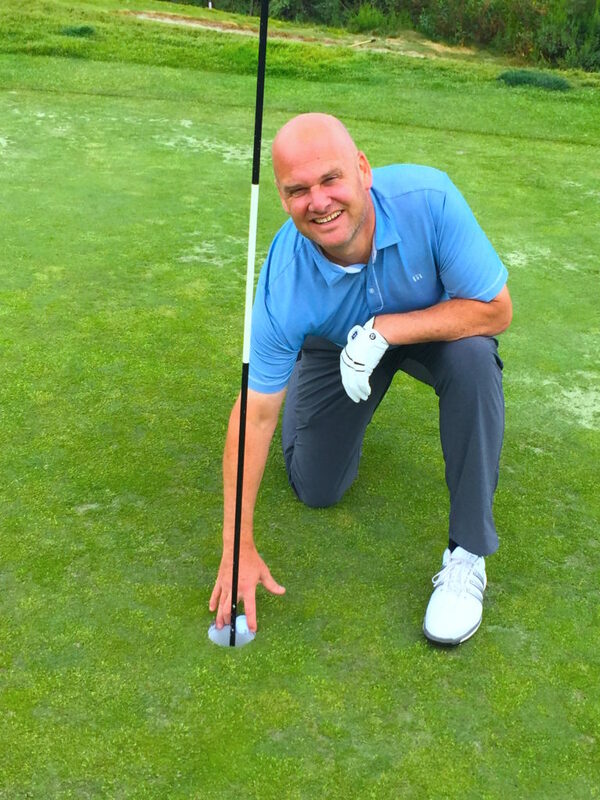 He walked over and the plucked the ball from the cup to confirm the ace. While there’s obviously an element of luck involved, Shea says the outcomes confirm that the hole fits his shot shape. In fact, Shea said he recently just missed a three-peat. Shea also credited his playing partner. “Randy’s my good-luck charm,” he said. Perhaps the only downside to his run of aces at No. 8, Shea said, is that a comfortable tee shot has become a pressure situation. “Anything less than an ace isn’t good,” he said with a laugh. Shea has now had three hole-in-ones in his career. And he’s not ruling out a fourth, possibly again at No. 8.